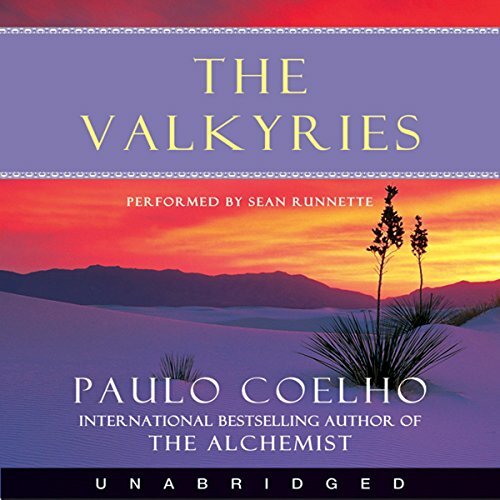 The enchanting, true story of The Valkyries begins in Rio de Janeiro when author Paulo Coelho gives his mysterious master, J., the only manuscript for his book The Alchemist. 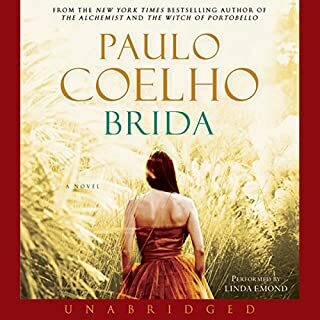 Haunted by a devastating curse, Coelho confesses to J., "I've seen my dreams fall apart just when I seemed about to achieve them." In response, J. gives Coelho a daunting task: He must find and speak with his guardian angel. "The curse can be broken," he replies, "if you complete the task." Rising to the challenge, Paulo and his wife, Cristina, drop everything, pack their bags, and take off on a 40-day adventure into the starkly beautiful and sometimes dangerous Mojave Desert - where they encounter more than they bargained for. When he talks about the pact he had made with defeat. Not memorable for me - like Jeremy Irons' with the Alchemist, however Irons would not have fit with this story. Fact is, since this was Autobiographical I would have preferred the author to read this, or at least someone with his accent. But that is not a big deal - this is an EXCELLENT BOOK - I have listened to it several times! If you are on a journey of changing your life, this might be your next step. I thoroughly enjoyed this book and recommend it to anyone who enjoys Coehlo's work and anyone who is interested in personal growth. This book really gives you some things to think about. 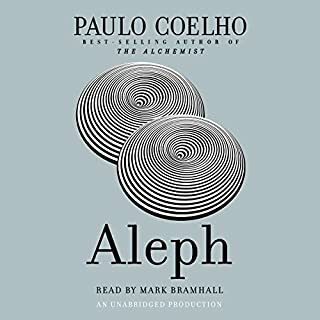 I was intrigued by this audiobook because I never saw it before in any bookstore. As I read the editor&#180;s comment I found it "suitable" and decided to download it but without great expectations. 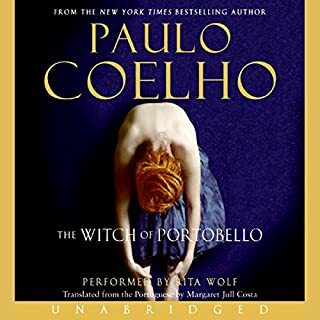 So wrong... this book reflects the human face of Coelho himself, its an interesting "biography" of the man behind the magician with many intimate and personal details. 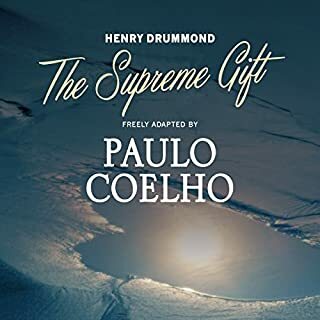 If you have read some other titles from Coelho you&#180;ll find many references in this book and will give you some insight on himself as a human looking for perfection. The message of the book is so inspiring: unconditional love in so many expressions. The plot is full of unexpected turns and very interesting and strong characters. 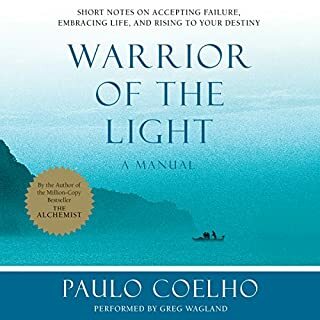 One of Coelho's best books. No, too much detail and information to take in during one listening. A good book to take in slowly. A big departure from this Authors other writings.. I bought this book because I love The Alchemist. After reading that book, I wanted to get into his other works. This book was number two on my list. To be quite honest, I'm not exactly sure how I feel about this book. It is part autobiography, part allegory, and extremely spiritual. I consider myself to be spiritual, but there were a few parts where I was a bit lost. Overall, there were some amazing takeaways in this book and portions so dense with wisdom, I replayed them several times. I may give this another listen to see if I can take away a bit more. I got the major themes, but don't necessarily feel that I've grasped all I can from it. It's a very different book than The Alchemist and I suppose my expectation was more along that line. The narrator was too monotonous for me, and on dialogues it was hard to determine who was the speaker. The differentiation between the different characters in narration was very mild, could be better told. For this reason, or maybe the storyline itself, I struggled to carry on to the end. The story was really mesmerizing until the rendez-vous with the valkyiries. After that it became full of thoughts and empty sentences which took me and my mind no where. 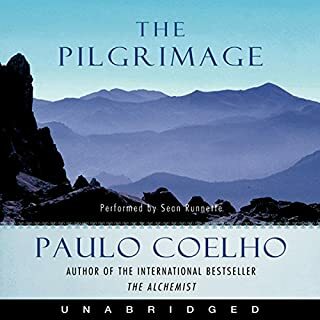 This is a more personal, real journey than others from Paulo ... if you want to GET the book, you need to suspend any disbelief temporarily like you do when you go to see Harry Potter and just enjoy the story ... if you can, then maybe like I did you can find so much applicability to your own journey. I found it pretty dang challenging, enlightening, difficult, enjoyable, and much more. Narrator does an excellent job, easy to listen to, despite the tremendous topic and story at hand. When Chris challenged Valhallla, took on her persona and in doing so saw life through Paulo's eyes just for a moment. Overall I think this book is more of a love story than the Pilgrimage or the Alchemist, both of which were more about solo journeys. Amazing how incredible books/authors speak to your soul. This one spoke to me (a hunter), my wife (a farmer) and our journey, together at times, separate at others. Paulo was seeking, but Chris was the one to find and not until she found in her own way did Paulo find in his way. This is an excellent book but I can also understand why it might not be for everyone ... who is the intended reader? Middle age, married, open minded, seeker of MORE ... more understanding, depth, experience, truth, connection, authenticity, insight, love, and all the IMPORTANT stuff. This book was a phenomenal read and I continue to find myself reading Paulo’s books that stir enlighten to grow.